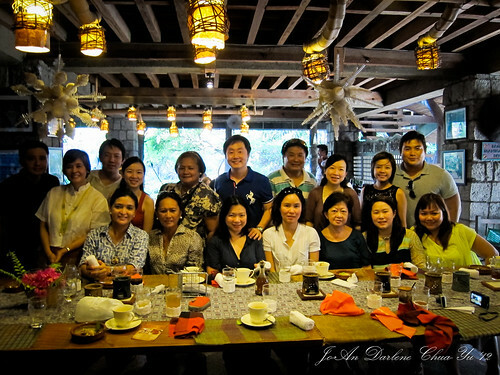 Dining at Bale Dutung is not just all about good food but also a lecture on Filipino food appreciation. 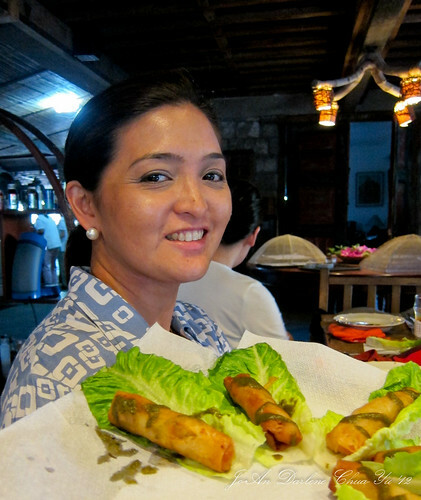 Husband and wife tandem Claude and Mary Ann Tayag welcomes you with open arms with their home cooked yet elegant Filipino dishes. 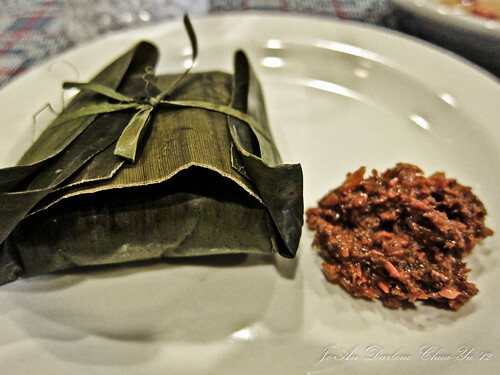 Theirs is driven by a passion to promote Filipino food and Kapampangan food to the international level market. This is definitely a satisfying gustatory experience. This 2nd trip to Bale Dutung is courtesy of our Prulife branch incentive. Quite a number qualified for this Amber specific gustatory experience. 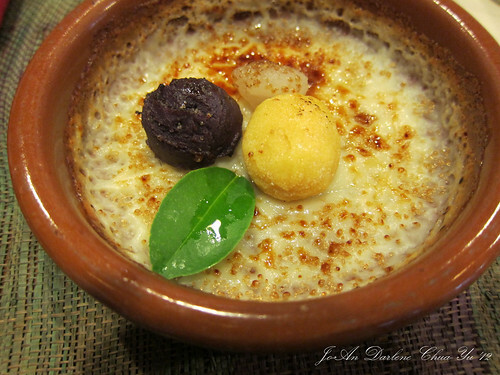 The 10 course degustation started with a refreshing welcome drink of dalandan and muscovado. 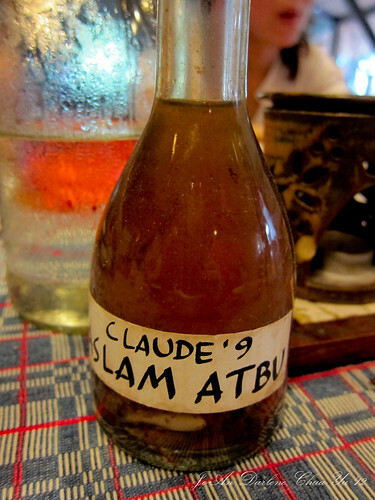 On the table, we were served Salabat juice and water to quenched our thirst and our palette. 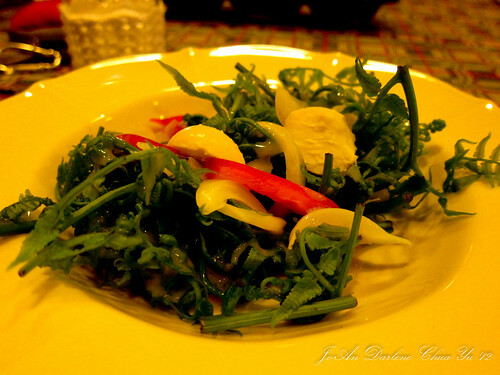 Fern Salad in simple sauce. I didn’t know that fern was expensive elsewhere. New Yorkers would serve fern with Foie Gras. Japanese eat loads of fern because of its nutritional content. This is BBQ chicken wings with lemon grass marinade and crab fat rice. I enjoyed that the chicken wings were marinated using lemon grass. You could definitely taste it. I would have eaten this as it is but I was curious to taste what a 12 year old vinegar would taste like so I had to dip it into the vinegar which were provided to us. 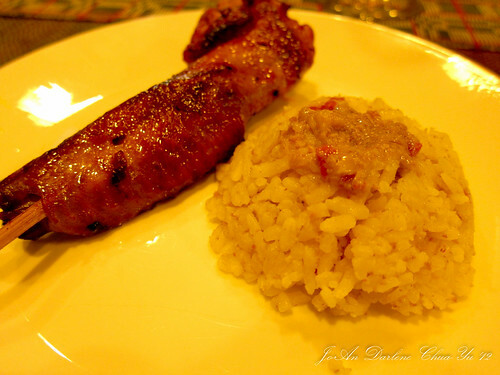 I enjoyed the talangka rice. When Mary Ann said that they’ll be serving Pugo, I thought she was referring to the quail eggs. 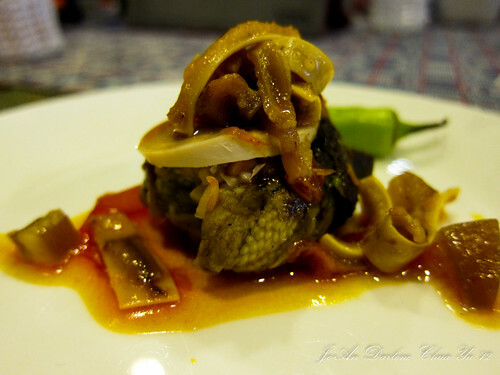 Was surprised to find out that they’d be serving quail itself. 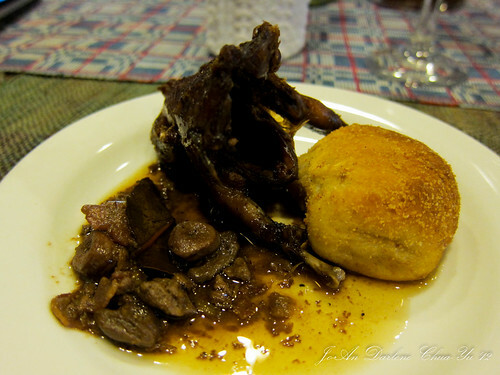 Quail is very similar to the Chinese pigeon but without the hefty price tag. In Pampanga, we were informed that even tricycle drivers have this for lunch. Cooked adobo style (in vinegar, soy sauce, etc. 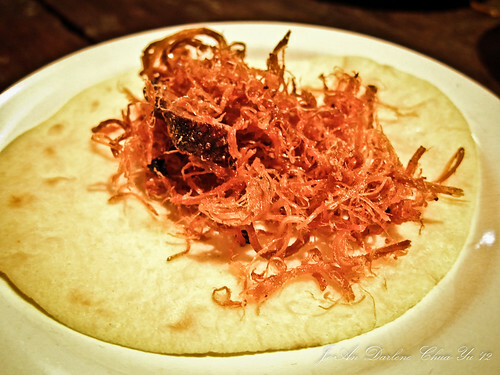 ), I enjoyed this dish, as well. 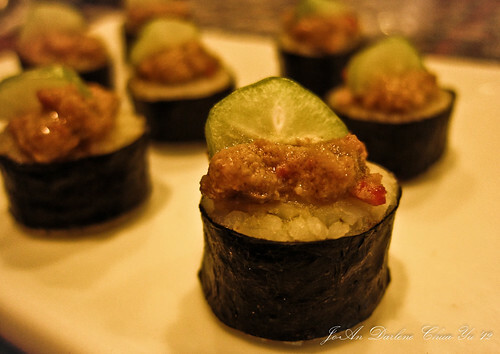 Inspired by the Japanese sushi, the Tayags created these sushi using our very own Talangka which is crab fat. 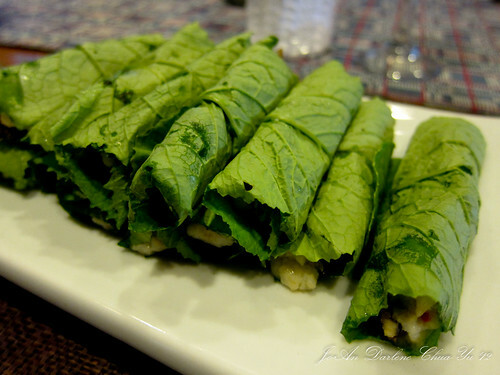 Could these talangka equate to the Japanese Uni? In the end, its really all about marketing and customer demand. 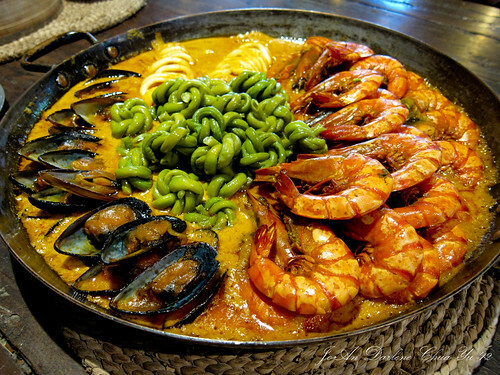 Filipinos should support Filipino food just as Koreans, Japanese and Chinese support their food. This dish was one of my favorites. 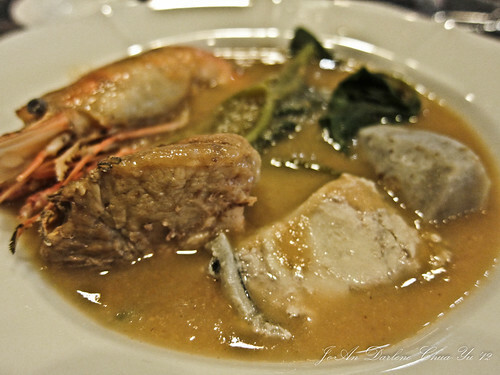 The Kapampangan way of cooking this dish was to make thick broth out of native guava and taro. 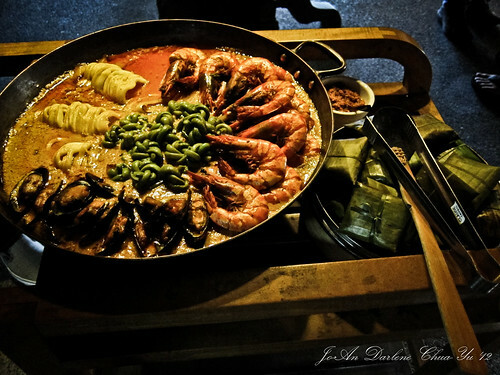 The soup is then laddled over your choice of fish, spareribs and various vegetables. We were advised to choose between white and brown rice which can be put onto the soup. I preferred mine separated. 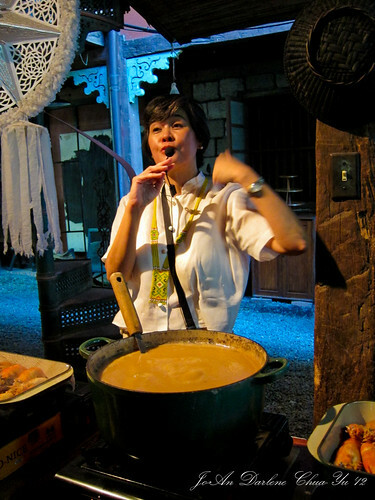 Ro mixed the following seasonings which made the soup even tastier – patis, chili, bagoong and calamansi. Mary Ann had to explain the process of getting the soup. First, you get your ingredients then the soup then the rice. 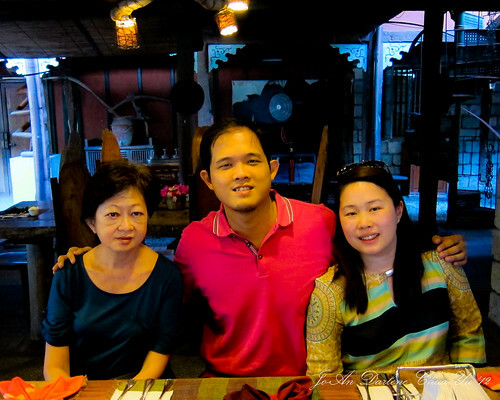 There was a group of Italian tourists who I found were really fascinated with the food served at Bale Dutung – Filipino food at its finest. 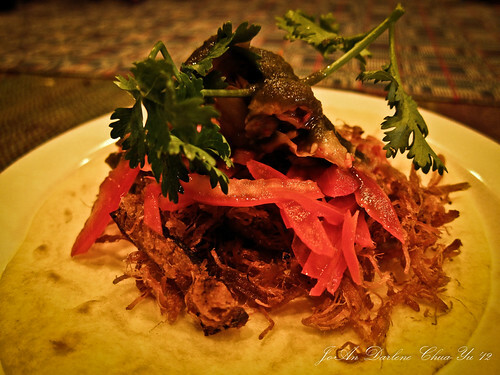 What Filipino fiesta would be complete without Lechon? I was excited to try this again. Crispy pork flakes topped on tortilla and further topped with tomatoes, cilantro and their special Korean pesto sauce. This dish deserves 2 pictures! I was so full from the past 8 dishes served but couldn’t resist finishing the plate provided to me. I couldn’t manage to eat rice anymore but even without it, this dish was oh so delicious. If I wasn’t as full as I was, I would have gone for seconds and thirds. A perfect end to this 10 course degustation is this dessert which is a combination of yam, coconut, and eggyolk in water buffalo milk. It had the right sweetness and creaminess to cleanse the palette.